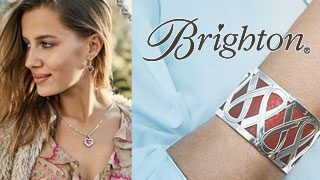 Brighton has been in the business of creating unique, custom-designed jewelry, handbags, and accessories for over 40 years. Their product line is one-of-a-kind with a brand identity that promotes their skill and love of what they do. In 2015, they joined forces with ROI Revolution with a goal to grow revenue through paid search remarketing. What started as a test soon turned into a highly successful video remarketing channel. Brighton had previously created video content, which made them an ideal candidate to test YouTube video remarketing and utilize the platform to gain more transactions online. With a strong focus on goal-setting and realistic expectations, ROI Revolution was able to structure a plan that would focus on solid reporting, testing, and optimization while working within a strictly monitored budget. While video remarketing can be incredibly successful, it requires very close attention to detail. Not only do you need a solid base of content, but that content needs to be visually captivating, well branded, and tell a compelling story. Additionally, YouTube requires close monitoring of ad spend, which is especially true on mobile and tablets, where over 1 billion video views occur every single day. Due to high traffic volume, a budget can disappear in a heartbeat. This can be beneficial when first starting out to test competing ads to a large audience, but it’s important to track ad spend and bids on a consistent basis to maximize efficiency. The first step was finding the best performing remarketing audience lists through search and display networks. Those audience lists were layered into YouTube Instream ads. The Instream ads gave Brighton the opportunity to get in front of a target market that was more engaged and likely to convert. In order to hone in on this audience, ROI Revolution set a bidding strategy that would highlight Brighton’s best performing channel (desktop), by bidding down 20% or more on both mobile and tablets. While conversions (transactions) were the ultimate goal of the remarketing program, Earned views were another helpful metric in determining the success of a campaign. An earned view means someone saw a video and then watched another video on Brighton’s YouTube channel within seven days. 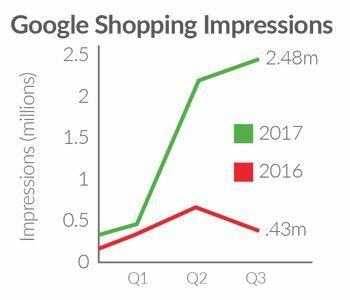 By focusing on this metric, it was easy to pinpoint viewers that were highly engaged and more likely to be compelled into a purchase. What is a head term? Head term, can be considered the opposite of a long-tail keyword, is a popular keyword with high search volume. Head terms are generally very competitive in search results. 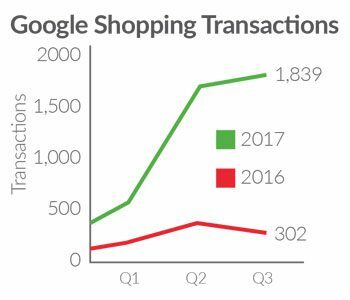 A good question to ask to identify head terms is—“What is the my best selling product(s) and is there a pattern or reoccurring key phrase(s) that people type in the search bar to find this product? PUSH is ROI Revolution’s proprietary marketplace and shopping feed management platform that allows organization of thousands of products for each unique feed while leveraging SEO tactics for how customers search for products. 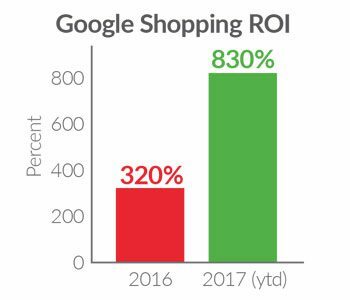 With video ads in place, ROI Revolution rolled out the remarketing campaign in August of 2016. Within a few months, they were already seeing outstanding results. They received nearly 9,000 views, 2,000 engagements, 300+ clicks, and more than 150 conversions in November alone! Since the launch of the program, Brighton has seen a nearly a 7:1 Return on Ad Spend (ROAS) with more than one in every 10 remarketing transactions coming from YouTube video ads. With a focus on previous purchasers, cart abandoners, and highly engaged users, Brighton has seen tremendous growth in their remarketing campaign as they continue to expand it in new directions. • Have a solid remarketing program already in place. If you aren’t currently doing some form of remarketing (social media, post-purchase sequences, customer appreciation programs), that should be the first priority. • A big reason for Brighton’s initial success was due to their robust video content library. Having the ability to create content quickly and an initial video content library is essential to success. • Be cautious of your bidding strategy. Bid down on mobile and tablet so as to not blow through your budget too quickly. While there is a huge audience for mobile and tablets, make sure it is the right audience for your business. • Pay attention to your earned views. 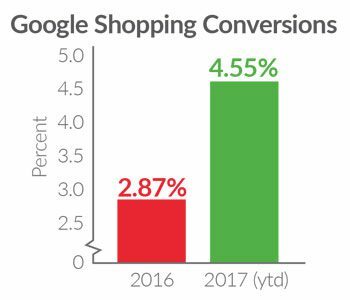 Getting repeat traffic is a universal gauge of viewer interest and ultimately leads to more consumers who will convert. Interested in our Service Packages? Click Your Preferred Channel to Learn More and Schedule a Complimentary Review.